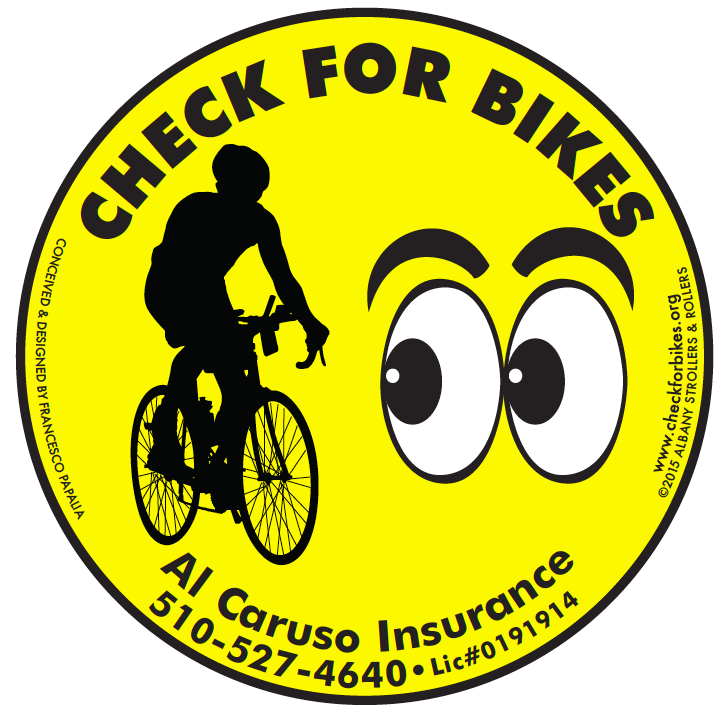 featuring your organization, group, business, logo or website along the bottom? Would you prefer another color or language? The image of an adult or a child? 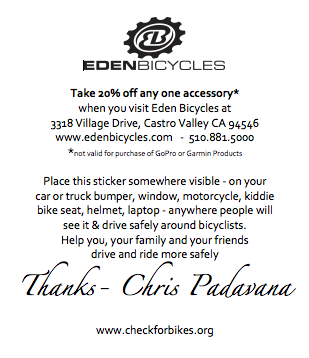 Do you want information on the paper backing that can be used to tell people about yourself and even use as a coupon or special offer? 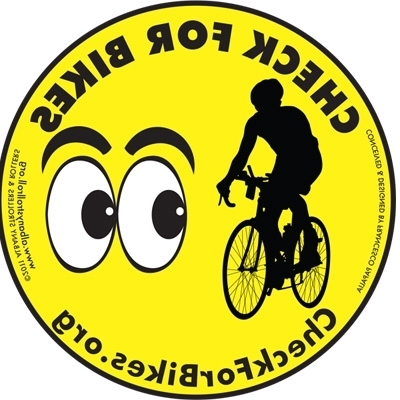 Let our graphic designer create the artwork for you! 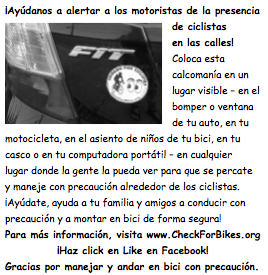 spreading the message to keep cyclists safe! 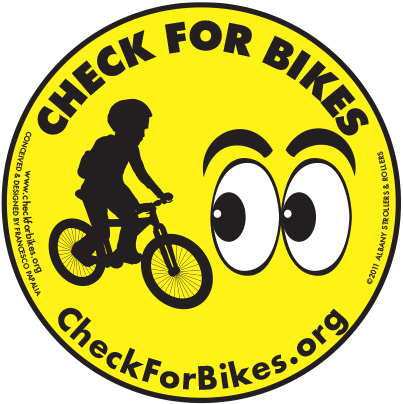 Want to take “Check for Bikes” clings and/or bumper stickers for a test run, ride or drive? We can send you some of these universal ones for you to distribute and use! 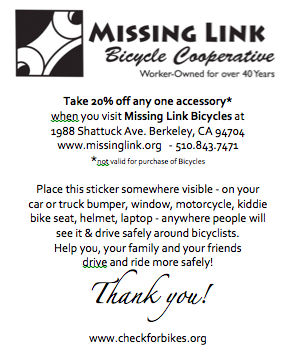 Missing Link Bicycle Cooperative put this discount coupon on the paper backing of their customized bumper sticker! 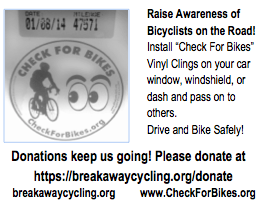 This is an example of what you can do on your paper backing to help your organization or business! 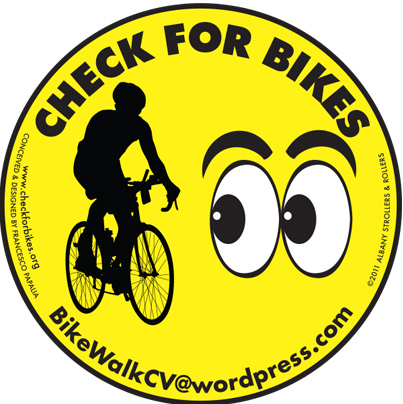 CONTACT US AT contact@checkforbikes.org AND YOU’LL BE ON YOUR WAY! 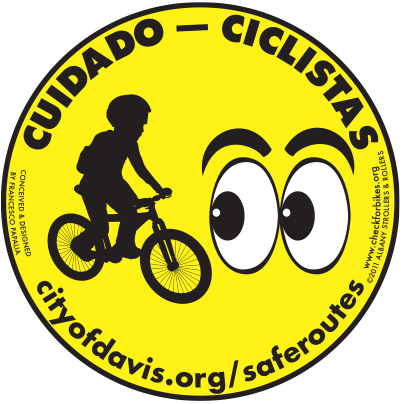 The Albany YMCA and 511 Contra Costa placed large orders for their own customized clings (see the images above!) The Albany Y ordered 3000 for its Earth Day Celebration and 511 CC ordered 12,000 to distribute throughout the county during May, Bike Month! 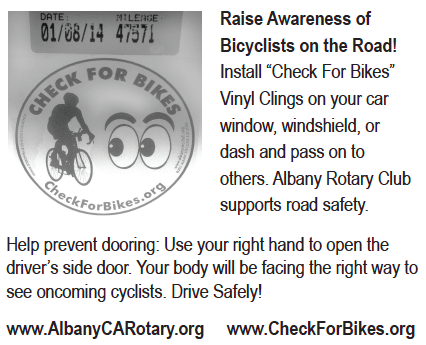 We designed a customized cling for Albany business T324 (see image above) and they are printing 2000 to distribute to fellow Chamber of Commerce members and their clients. 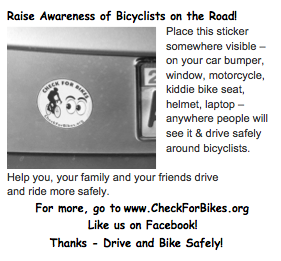 Those people will be more careful on the road to make conditions safer for all of us. 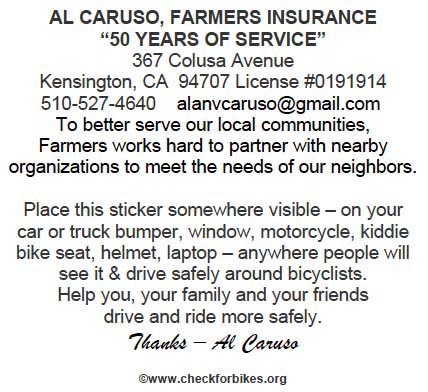 We appreciate these groups caring about our communities! 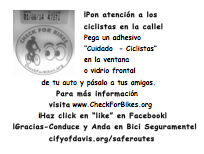 At the City of San Pablo, we have been handing out the clings at community events. They promote so much awareness! 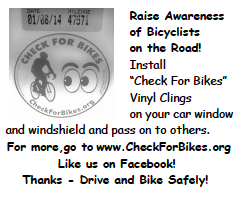 After learning what they are, people often tell us that they never thought to look before opening their car doors, but now they will. 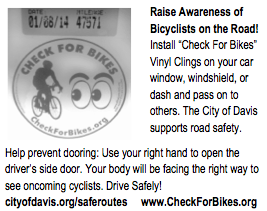 This is such a simple, inexpensive way to make our streets safer for cyclists.